Just when you thought toppers couldn’t get any bigger… BAM. Out comes a whopping 11″/11.5″ inch base size – let’s just call this one a half wig, shall we? 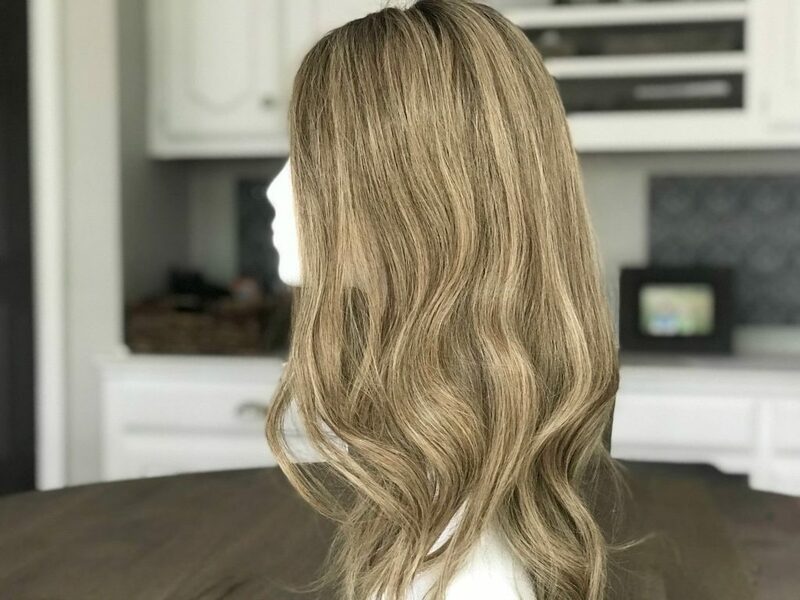 Jon Renau’s Top Full has been available in human hair for awhile, but they recently introduced the style in synthetic as well. The clips are designed to hit in allllll the right places (i.e., not right on top of your head), and because the entire piece is hand-tied, it’s super comfortable. Check out just how big this baby is! At first glance, it looks like a wig, doesn’t it? Let’s take a look at the piece via video, and then we’ll chat a bit about it. This is right out of the box, by the way. Due to its size, it’s a great piece for those that need more coverage than other hair toppers provide, OR, are having trouble getting the clips secure around the head due to expanding hair loss. It also could be an excellent choice for those that have extremely wimpy bio hair and have trouble integrating that into hair pieces. Because this hair topper is truly a half wig, it completely covers up most (if not all!) bio hair so that you have to worry less about integrating when it comes to length. 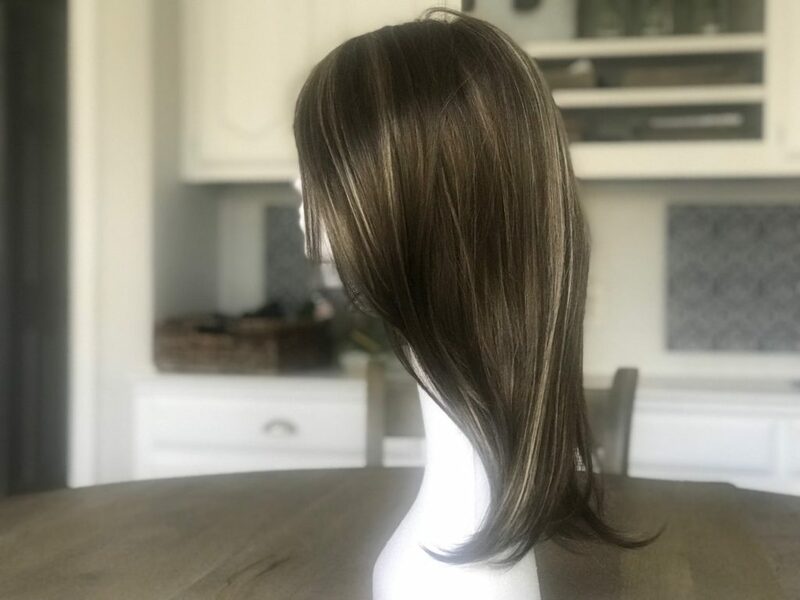 Basically, this half wig is a hair loss solution for those that are wanting the ease and coverage of a full wig, but aren’t quite ready to give up the topper life yet. There is one issue that I noticed, and I point this out in the video: this topper has some elastic and is nice and stretchy all the way around. And because the piece DOES go all the way around your head, there is a bit of “tension” (for lack of a better word…nothing uncomfortable!) that occurs since the hair topper stretches around your head. 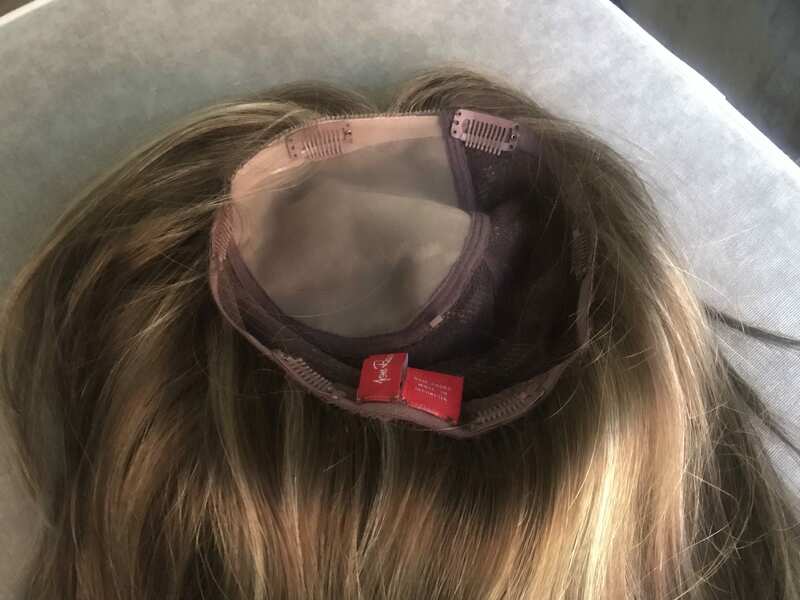 Because of this, I suggest either making sure the front-middle clip is secured tightly (not so tight as to rip out hair, mind you…but you want it snug) so that if the piece is gently pulled back due to normal wearing that you don’t see a gap between the piece and your bio hair. Does that makes sense? The video explains it better! I mentioned above that this hair topper is available in human hair, too (and both are available for you to try on at-home as a perk of the Corner of Hope & Mane Community). Check out how they look. I wanted to show you the above pics to talk about length. Both are listed as being 18″. The synthetic Top Full is exactly like my Top Style (formerly Top Secret) in terms of length. The human hair version of this topper is about 2″ longer, and you can see that if you compare the area where the length hits on the mannequin heads. I think this is because human hair is meant to be trimmed when you first get it, and over time, so extra inches are allotted for this. Just something to be aware of! I wish I had two human hair versions so I could say with certainty that they are *always* longer than their 18″ counterparts, but, I can’t be 100% certain. All in all, I think this is an excellent option for someone who needs a ton of coverage, or for someone who is interested in a transition piece between toppers and wigs. You get the coverage of a wig, and the comfort of a topper. What level of coverage do you need with YOUR hair toppers? Is the Top Full too much or something that you could see working? Let me know in the comments. For double monos, the material disguises your hair underneath so you don’t need to worry about it. For single monos, yes, the scalp will show through to your own hair/scalp. If you can’t line up the part completely, you can always dab a bit of concealer on the part-line in a skin-colored tone. OH, that is EXACTLY what I need!! I’m so glad you posted this, Lauren, thank you! It’s a great piece, Heather! Nice video, Lauren. I really appreciate how you make wearing hair almost fun. I have three human hair toppers but I’m thinking of getting a synthetic, fun one to mix it up! I am a fan of Jon Renau wigs. They provide not just a product but an experience that makes me make my purchases from their stores only. The Top Full wig had been an absolute delight just like the other products. The size enlargement option is what we had been waiting for. And here it comes! How do you style your lace front wigs in the front so they don’t look so fake? Yours look amazing. Even the part? I just started wearing synthetic ones. Also I bought one which is spiral curls but was wondering how to loosen the curls? Any ideas? The part is usually no issue, but I struggle sometimes with lace fronts when I wear the hair off my face (this one is NOT lace front). Usually plucking a few hairs and blending some powder foundation into the hairline helps to diffuse the knots a bit, so it looks less pin-dotty. I’m really debating on getting the top full 18 inches. 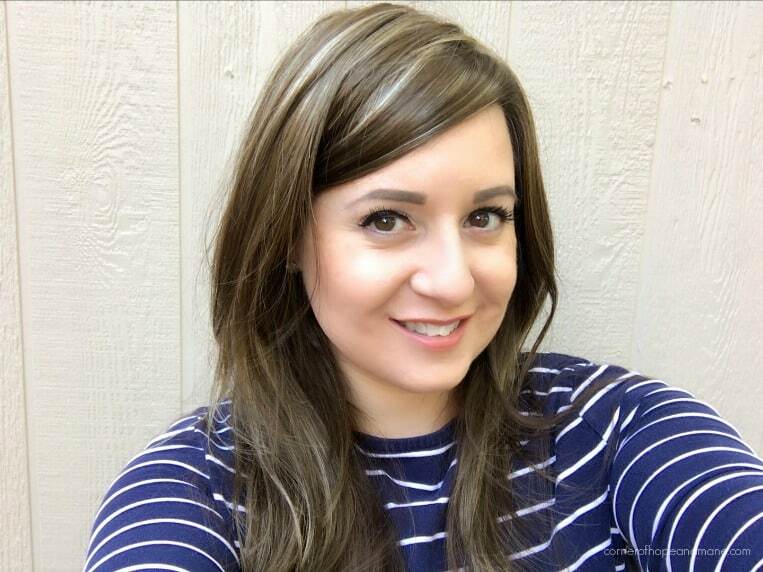 I normally would go with a shorter hair piece, but since this one has so much coverage, do you think I would be ok if my hair length is shorter than the topper? My hair is probably about 12-14 inches in length. I did watch a video of a review for this piece and it looked like the lady actually pinned up her hair, almost like when you put on a wig. Thank you! Yep, you could get away with that, I bet. Thank you! It shipped today! Is there a difference in the amount of hair between the synthetic and human hair versions? Or is that an illusion? The human hair version looks much more dense on you than the synthetic one. I purchased the Top Full synthetic and find the front flip tension almost unbearable after a short period of time. Any recommendation? Should I buy more clips and clip it in more- spread out the tension???? Yes, I would. Try to really anchor the side/back so that it’s putting less pressure on the front. You might also consider glueing or taping the front. It does have a bit more tension since it’s like mini wig.